This memoir of a native son of a Kowloon-side squatter village – the first book ever on Diamond Hill, in either Chinese or English – presents the early days of a life shaped by a now-extinct community. 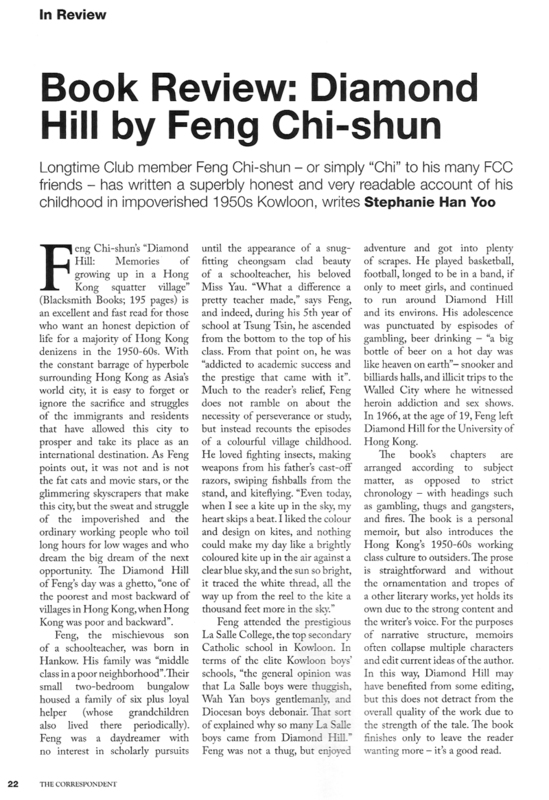 Penned by a high-achieving Hong Kong professional, Feng Chi-shun’s sharp recollections of his humble upbringing contain warmth, humour, and an abundance of insights into a low-income Hong Kong neighbourhood that no longer exists – but remains close to the hearts of many who lived there. Diamond Hill will invite comparisons with Martin Booth’s Gweilo. If you enjoyed the latter, you will likely find the former similarly absorbing, because the young Feng was, for many a “gweilo”, the inaccessible yet intriguing face of an altogether edgier Hong Kong. Click on the following link to view sample pages from Diamond Hill. You will need a pdf reader to view this excerpt. 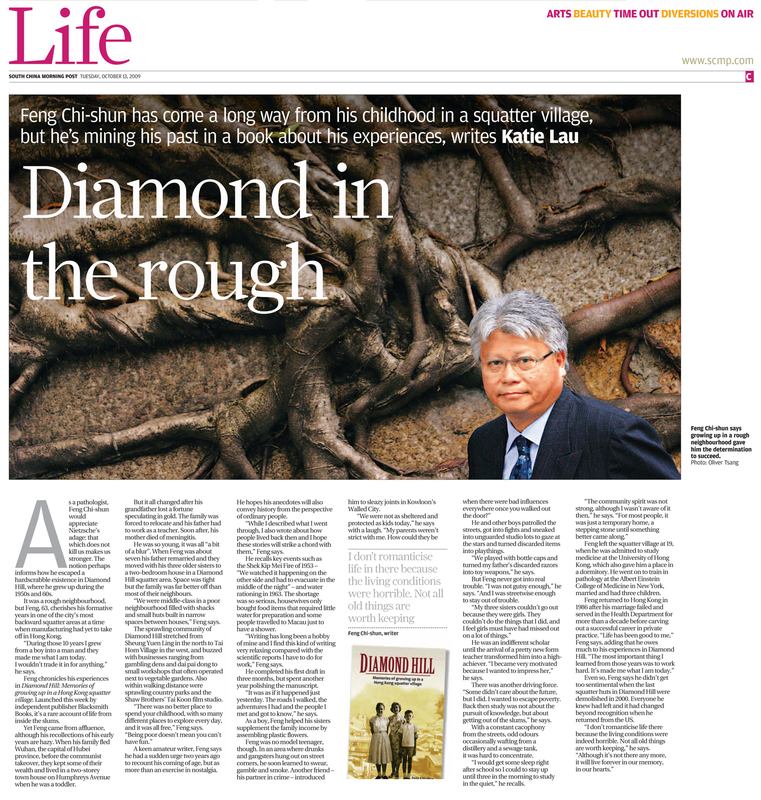 This memoir of a native son of a Kowloon-side squatter village – the first book ever on Diamond Hill, in either Chinese or English – presents the early days of a life shaped by a now-extinct community. Feng Chi-shun’s sharp recollections of his humble upbringing contain warmth, humour, and an abundance of insights into a low-income Hong Kong neighbourhood that no longer exists – but remains close to the hearts of many who lived there. Diamond Hill will invite comparisons with Martin Booth’s Gweilo. If you enjoyed the latter, you will likely find the former similarly absorbing, because the young Feng was, for many a “gweilo”, the inaccessible yet intriguing face of an altogether edgier Hong Kong. Author Feng Chi-shun appeared in the fourth segment of Phil Whelan’s Saturday morning show on RTHK Radio 3.